Help Nowzad get Fluffy from Afghanistan to the USA! 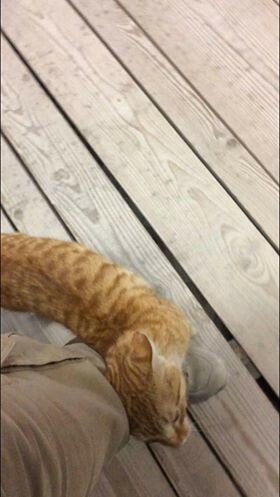 Nowzad hasn't added a story. KAF is dangerous for stray animals. That’s why my friends and I want so badly to rescue Fluffy. Fluffy is a large, orange tom cat that roams around the boardwalk when the nights are warm enough. He stands in the middle of the pathway, loudly demanding food or pets. Every time we see him, we stop and pet him for at least 20 minutes. He twirls around our feet and rubs his head on our hands, loving every second of it. It brightens our days and gives us something to look forward to. Whenever he disappears for nights on end, my entire shift worries about his safety. People here can be cruel and it isn’t safe for such a friendly, loving animal. My friends and I desperately want him to have a happy home in the States where he can be warm and loved. Please include the animal that you would like to donate to in your mailing. If, for whatever reason, the companion animal rescue is not successful (such as disease or injury) then at the discretion of Nowzad Dogs, the funds collected via this Youcaring page will be allocated to support the vital daily operational costs of the Nowzad Dogs small animal clinic and shelter in Kabul. The total required for a companion animal to travel to North America is on average $4000 for a dog and $2500 for a cat (we make no profit and everything is subject to currency valuations and fuel prices on the day). We are sadly unable to offer refunds on donations. 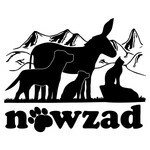 Nowzad hasn't posted any updates yet. Nowzad is managing the funds for this campaign. Coyright message: all featured content is Nowzad owned. Please contact: hannah@nowzad.org for more information, or text and photo permissions.